Fossil announced its fourth-generation Fossil Q smartwatches in August of last year, but the company still has some third-gen watches in stock. The older models were already on sale, but now Fossil has taken an additional 25% off, reducing prices to as low as $134.25. 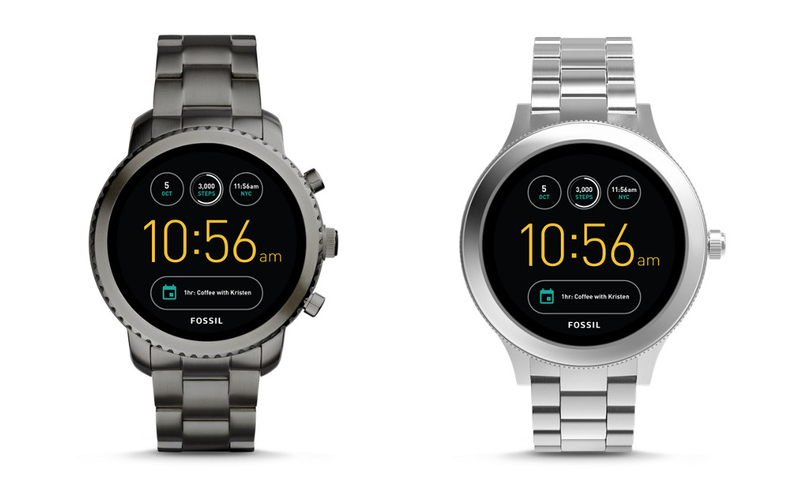 The third gen Fossil Q Explorist (designed for men) and Q Venture (designed for women) are currently available from the company's online store. Both watches have a Snapdragon Wear 2100 processor, 4GB storage, IP67 water-resistance, interchangeable bands, and the latest version of Google's Wear OS. The Explorist has a case size of 46mm, and the Venture is 42mm. While the third-gen Explorist and Venture are great watches, they're limited on features. Neither model has NFC for Google Pay, integrated GPS, LTE connectivity, or a heart rate sensor. Still, they work great for checking notifications and running apps. To get the full discount, you just have to enter code BRRR25 at checkout (full terms here). 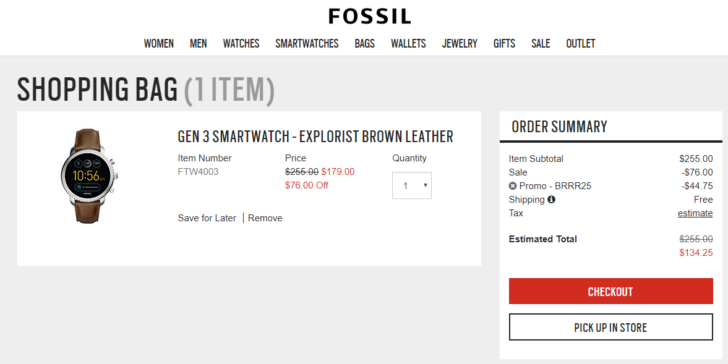 The promotion is also valid at "participating U.S. and Canadian full-priced Fossil stores" (not outlet stores), so if you have one of those near you, you might not even have to wait for an online order to ship. Sadly, the discount doesn't apply to refurbished watches.